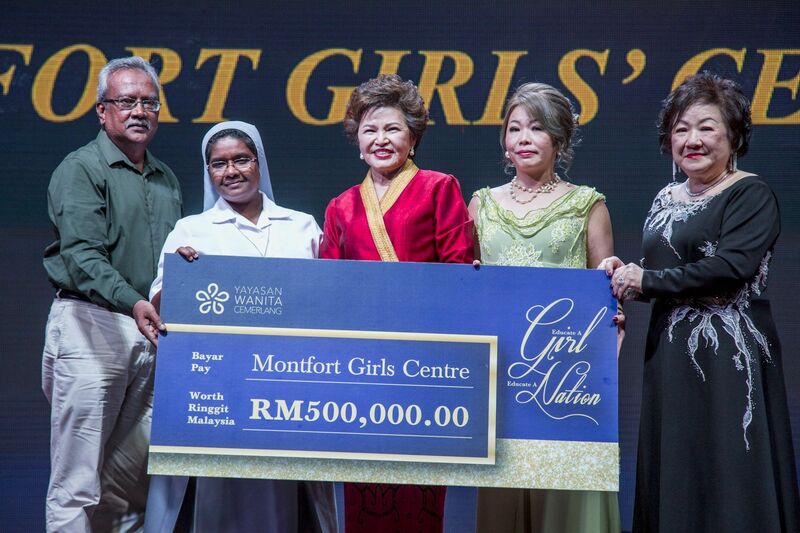 Yayasan Wanita Cemerlang (YWC) organised a musical charity gala to raise funds to provide vocational training to 353 girls at the Montfort Boys Town in Selangor. The event kicked off with a welcoming speech by Tan Sri Dr Ng Yen Yen, followed by Datuk Dr Stella Chin. Thereafter, attending guests had the privilege and pleasure of catching live performances by saxophonist Ken Leong, CVS and the harmonious Caring And Sharing choir, as they feasted on their 9-course Chinese-style dishes. The highlight of the night was the cheque presentation to both Montford Boys Town (of the amount RM500,00), and the Malaysian Mental Literacy Movement (RM100,000) by YWC.